We've got incredible local bands, the best food trucks, and all your friends! Join us at our Boston brewery for the best festival of the fall. Come hoist a pint with us at our Boston Brewery at our biggest festival of the year! You'll join thousands of beer loving fans during our 2-day festival that takes place outside and underneath tents alongside the brewery! Early Access Passes are non-refundable. Event is rain or shine. Enjoy pints of Harpoon and UFO all weekend long. Bring your dancing shoes - we've got 3 stages of live music! Think you can eat a piece of cake faster than your friend? Now is your chance to prove it! Make sure to sign-up for the contest via customer service at arrival! Sign-up to take a tour of the Harpoon brewery for FREE! Get to sample right from the tanks! 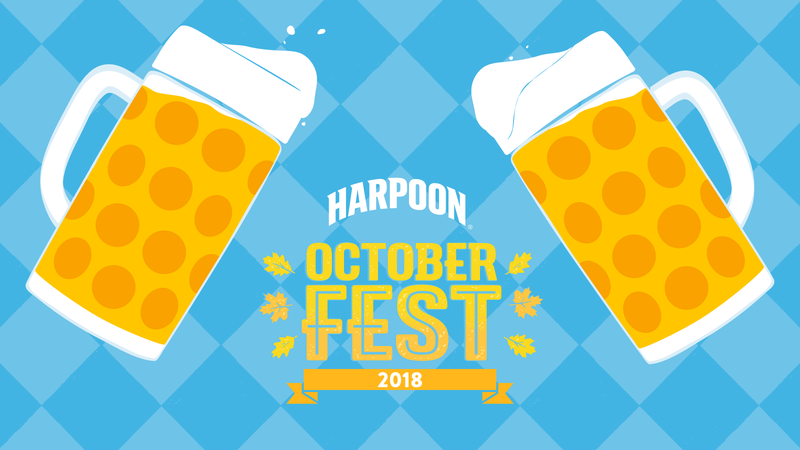 Enjoy 25% off a ride to or from Harpoon Octoberfest with Lyft. Use HARPOONOFEST18 in your app to automatically receive the discount on your ride. Entrance from 12-1 pm to the 2018 Harpoon Octoberfest on Saturday, September 29th. Includes entrance, one beer, and one souvenir pint cup. Cannot be used on Friday, September 28th.